Latest FoCOM version is ? 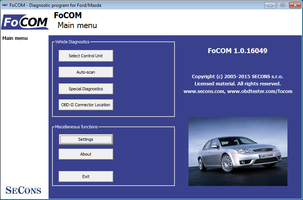 FoCOM now contains special diagnostics option to diagnose Volvo cars. This is experimental function with limited functionality. The function is provided on as-is basis with no guarantee on functionality and use at your own risk. The function may be changed or completely withdrawn in a future version. In case you run into any troubles using this function, please do not hesitate to contact us. Even in case we will not be able to help, your information is useful to further improve the product. We would like to ask you also to provide control unit snapshots that can be saved from Identification function ("Save ECU information"). Special diagnostics > Volvo ISO diagnostics for models before 2000 and for selected control units up to 2005. Volvo V40 and S40 use this option up to 2004 for all ECUs. 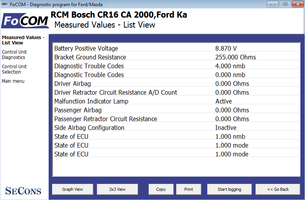 Special diagnostics > Volvo CAN 2005 diagnostics for models after 2005. Try next option if this fails. Autoscan function is not available for Volvo (with exception to recent Volvo vehicles that use standard FoMoCo diagnostics).